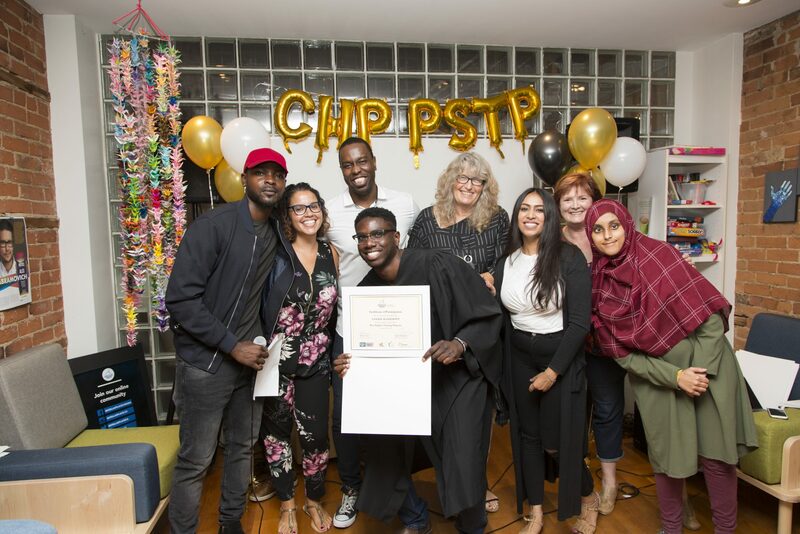 The 2018 graduates of our Peer Support Training program are not only Peer Supporters, they are also Community Healers! 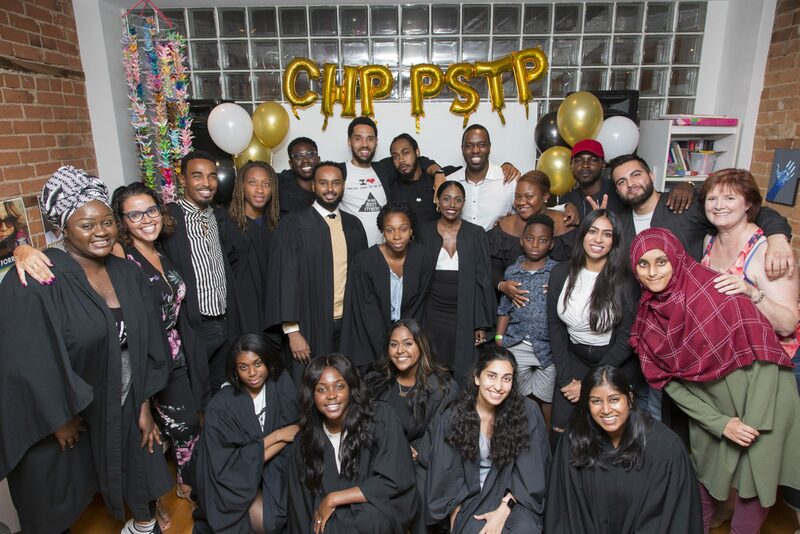 Through a partnership with the City of Toronto, these resilient young adults delivered Community Healing projects for youth in 10 diverse communities across the city. These Community Healers offer youth the opportunity to talk to someone who ‘gets it.’ Peer-to-peer support can help direct youth to education and employment opportunities, while also helping them find hope, self-confidence, and healthy coping strategies. Before they offered their community healing projects, our committed team of 22 young adults went through six (6)months of preparation and training. From March to May, training for the mentors and healers was guided by our Peer Training Lead and in-house superhuman, Asante Haughton. We also recruited four (4) graduates from last year’s program to act as experienced Peer Mentors. With the support of the Peer Mentors and the Training Lead, 100% of the students graduated. The goal of both the Peer Support Training Program and Community Healing Projects is to help young adults develop a personal toolkit to improve self-awareness during turbulent periods of life. This includes skills for navigating social situations, such as lessons on emotion-regulation, communication, and setting healthy boundaries in relationships. Participants learn how to better understand and respond to trauma, suicide, mental health challenges & triggering situations. As a whole, the program teaches young adults to navigate and embrace their vulnerability in order to develop empathy, compassion, and self-awareness. Youth in vulnerable communities have fewer opportunities. Peers can offer the skills needed to navigate the employment, education, and social disparities that they face. This program gives youth tools to manage life adversities from a new perspective; a perspective that can reduce the impact of traumatic events on their lives and give them the strength to achieve educational and occupational goals. Our results show that this program is having a strong impact not only on the graduates, the participants in the Community Healing projects but also their communities at large. 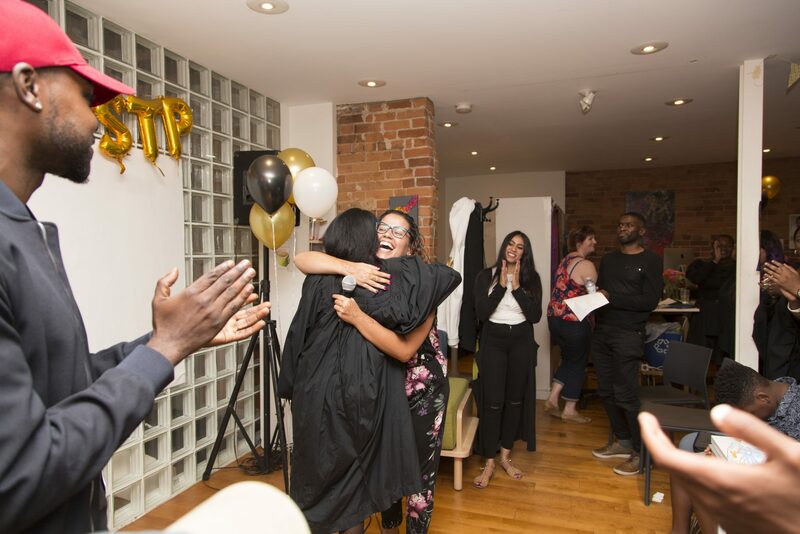 We are continually impressed by the eagerness of Peer Supporters to open doors to other young adults in Toronto, regardless of the time, energy, and commitment that it requires. Click here to learn more about our Peer Support Training Program.